Last week, I hosted a cooking class, invited several friends and their daughters to attend, and enjoyed an afternoon of friendship and baking in the comfort and safety of my home. I relished the rare opportunity to spend some quiet time relaxing and cooking with friends, but later that evening as I washed the dishes from the day’s activities, I couldn’t help but reflect on how far removed my day had been from the experiences of many of the women we work with at the Global Alliance for Clean Cookstoves. In fact, for hundreds of millions of women in developing countries, the simple act of cooking for their families is anything but a relaxing and safe experience, especially in rural areas where women must trek long and arduous hours in search of wood or dung to cook the family meal. This constant search for fuel often miles from their home, and at great risk to their personal safety and physical well-being, is not a chore that can be ignored, but a glaring example of how difficult life is for women in the developing world who must breathe the thick acrid smoke of an open fire for hours each day. Added to their daily obligations to tend the fields and fetch clean water, the lack of access to clean fuel for cooking and the subsequent need to spend hours each week searching for fuel, takes an enormous toll on women and their daughters, who often bear the brunt of this household task. Time spent searching for fuel, also hampers the ability of adolescent girls to attend school, an important precursor for economic success later in life, and leads to the degradation of lands and forests near their homes. In urban areas where charcoal or kerosene for household energy needs must be purchased, often with precious household income that would be better spent on medicine, food, or school fees, cooking and heating become a safety issue in the close confines of the urban slum, and a drain on fragile household budgets already crippled by poverty. Even more alarming than the economic toll that the use of solid fuel over open fires takes on the poor in the developing world, is the serious impact on their health. The World Health Organization states that more than 4 million people die prematurely each year in the developing world from diseases like pneumonia, heart disease, lung cancer, and other ailments from the smoke of this “silent killer”. This mortality figure from cooking over an open fire, is greater than deaths from malaria, HIV/AIDS, and tuberculosis combined yet the issue has received little recognition in the press in recent years, and inadequate funding and investment from donors and the private sector. Musician and Global Alliance for Clean Cookstoves Ambassador Rocky Dawuni is the ONE Girls and Women curator! Click here to learn more and subscribe to ONE Girls and Women. Fortunately, this scenario is quickly changing. The Alliance and its 1000+ partners around the world are working to foster the adoption of clean cooking solutions through a unique market-based public-private partnership. Launched at the Clinton Global Initiative in 2010, the Alliance is working with a unique cross-section of donors, non-governmental organizations, UN agencies, researchers, and government stakeholders, to develop a robust and sustainable clean cooking sector that can bring life-saving and life-changing solutions to the women and families who need them most. 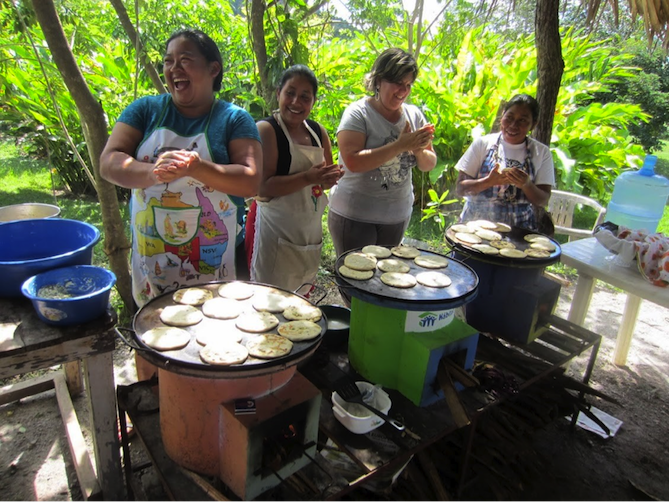 Our work has grown to include research and development, training, and strengthening businesses to support hundreds of entrepreneurs and women-owned enterprises so they can start and grow their own clean cookstove and fuel businesses. The Alliance is also working with women’s groups, humanitarian partners, development professionals, and other stakeholders to help understand the factors that drive behavior change and consumer demand, in order to ensure that clean cookstove and fuels are used to bring about the health and economic benefits that clean technologies can bring. And the Alliance is supporting the work of researchers throughout the developing world to build the evidence base on the health, environmental, and gender benefits of the use of clean and efficient cookstoves, and developing standards and certification programs so that for the first time women are assured of the quality and safety of the products they are buying. Finally, the Alliance is working with the financial community and social venture investors to spur the interest of the private sector in making investments in clean cooking for the three billion people at the base of the pyramid who lack affordable, available, and acceptable technologies and fuels to cook for their families, the same way they invest in new refrigerators, cars, and flat screen televisions for those in the developed world. The tide is turning, and enormous progress has been made by the Alliance and the clean cooking community in just a few short years to bring clean cookstoves and fuels to women around the world. Yet much more needs to be done to raise awareness of the negative impact of household air pollution and the availability of clean cooking solutions among policy makers and donors, government officials, and consumers themselves, and support programs that help women develop the tools they need to be a part of the clean cooking solution through small businesses and fuel production. I am looking forward to the day when women throughout the developing world can enjoy an afternoon cooking with friends and family, and the tears in their eyes are not those from the smoke of an open fire but from laughter.